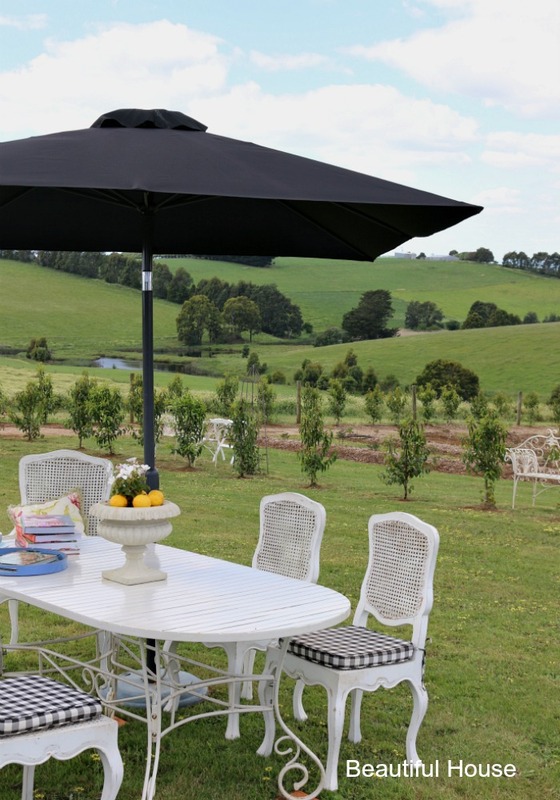 I was recently invited out to Gippsland for a luncheon at the inspiring garden of Sarah Foster, a popular fashion and lifestyle personality in Melbourne . We were blessed with the most perfect weather to visit this beautiful country home and garden. Come and visit Sarah’s garden, I know you will love it as much as I did. Sarah has a passion for design and style and has been busy building a place of beauty, charm and peace to share with many others. We were warmly greeted by Sarah and welcomed to her home. 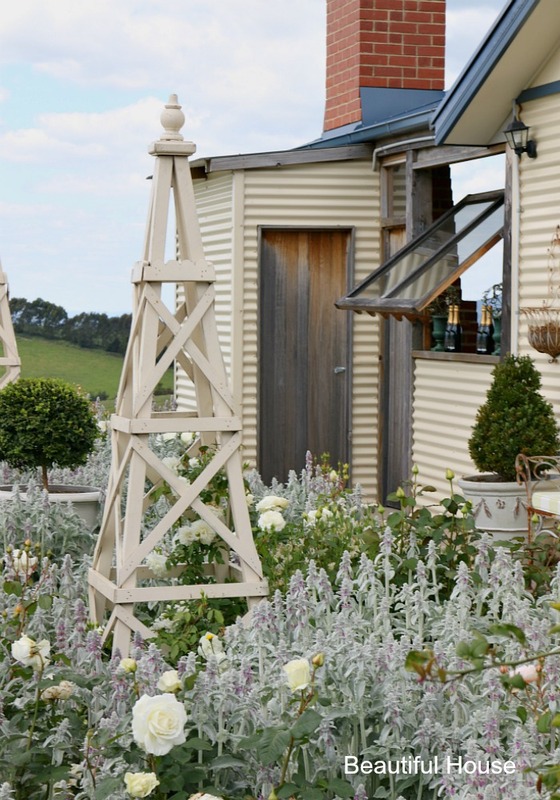 The garden party started in Sarah’s beautifully styled farm shed, here we enjoyed champagne and nibbles, meeting new friends and having a lovely long chat. Sarah has lined the farm shed with artificial hedging, as you can see the end result looks fantastic. 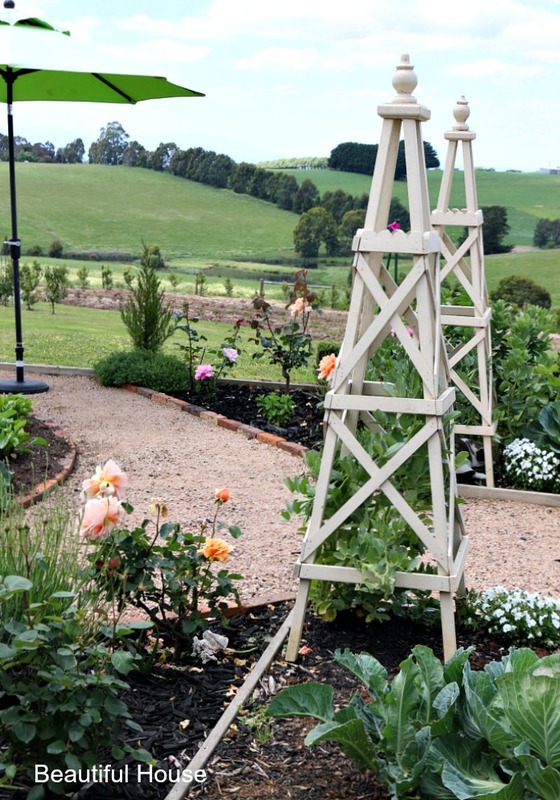 The property has many Obelisks in the garden which only add to the charm of this country property. 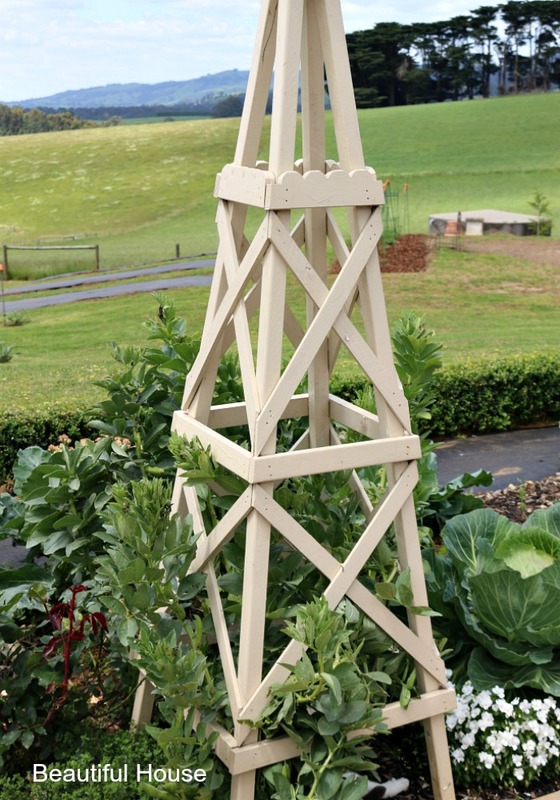 They are the perfect garden accessory for supporting climbing plants and they look stunning too. 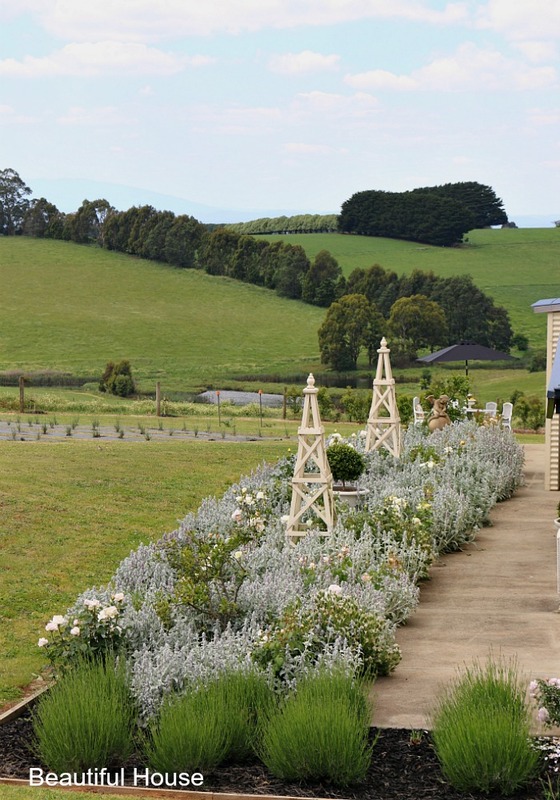 The kitchen garden was something out of a magazine or one of your favourite garden books. 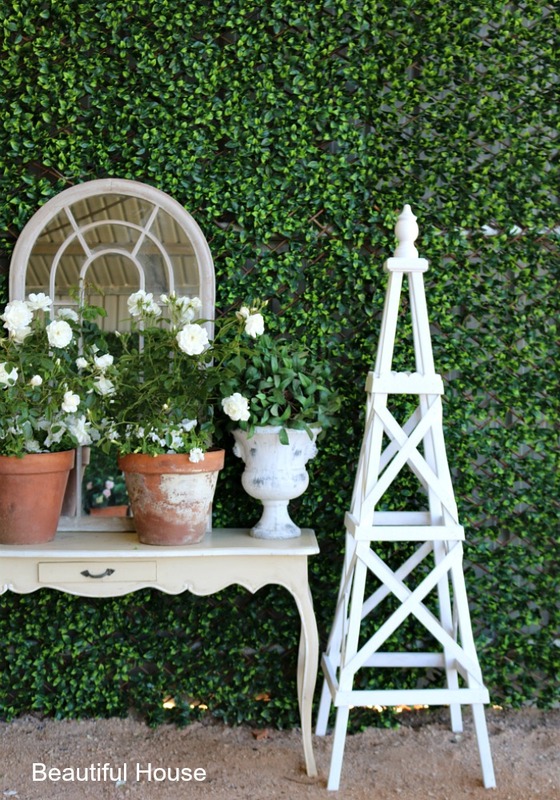 Sarah has curated this beautiful kitchen garden, planted with a combination of veggies and roses. 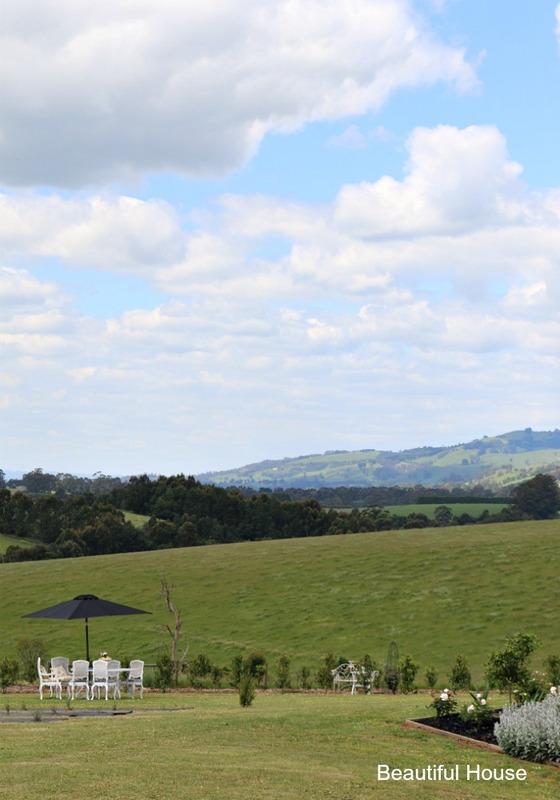 It is a really lovely place to sit and take in the view of the rolling green hills. 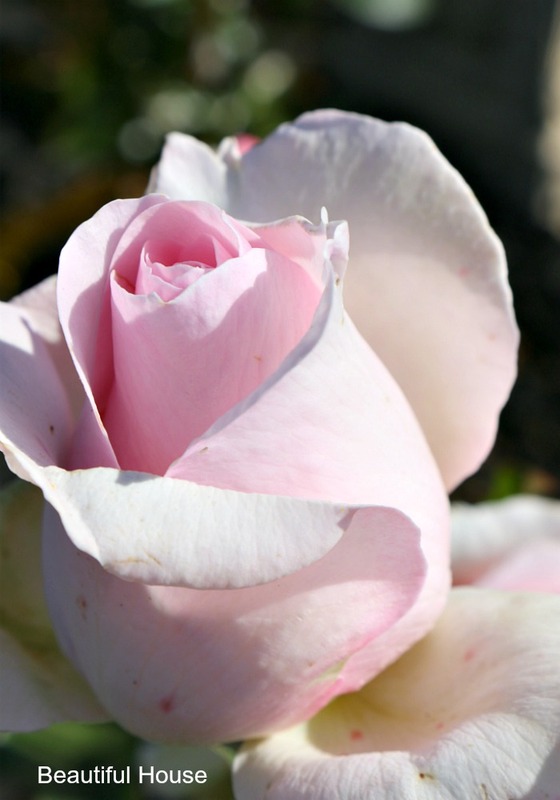 The rose above is called ‘Just Joey” a very popular rose bush that you will see in many gardens. I really loved how the kitchen garden was full of lush green vegetables and roses added for splashes of vibrant colour. We set off on a tour of Sarah’s property, starting in the Pear tree lined driveway and heading out across the front of the property. 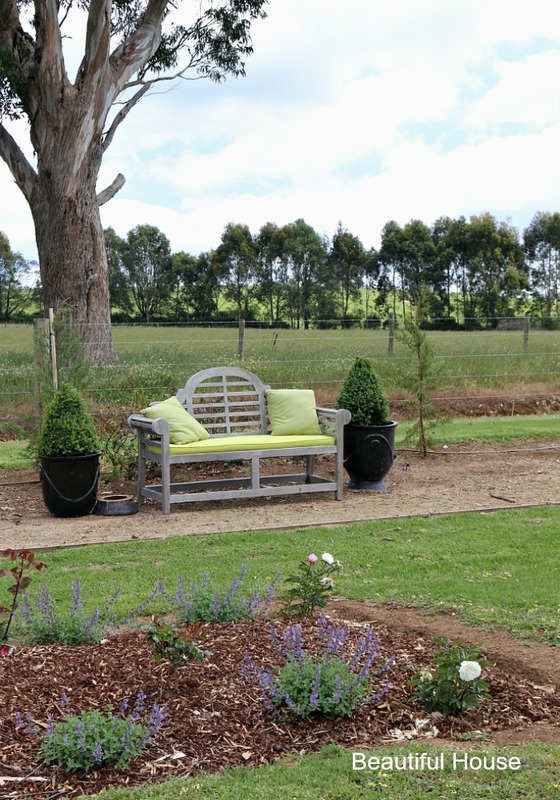 Sarah has planted many gardens on her property, including a rose garden, dahlia and peony field and two lavender fields. What an achievement. 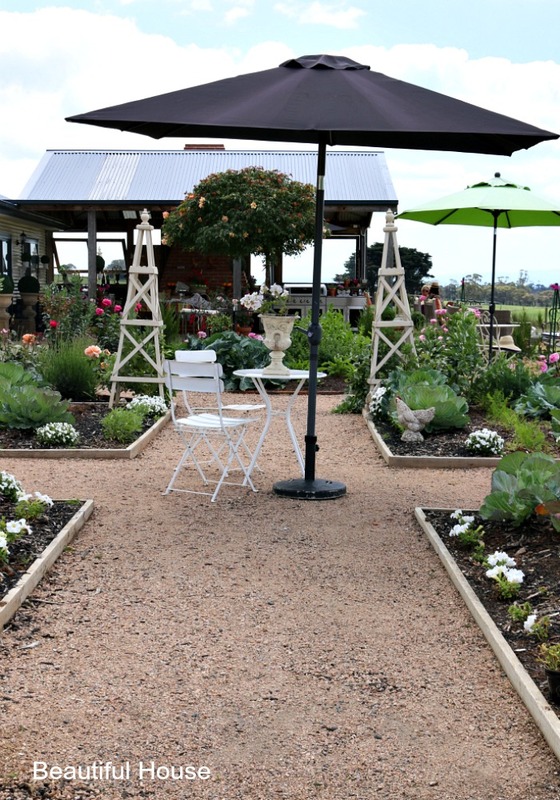 With much planning and creativity, this garden has turned out to be the amazing vision that Sarah had planned. 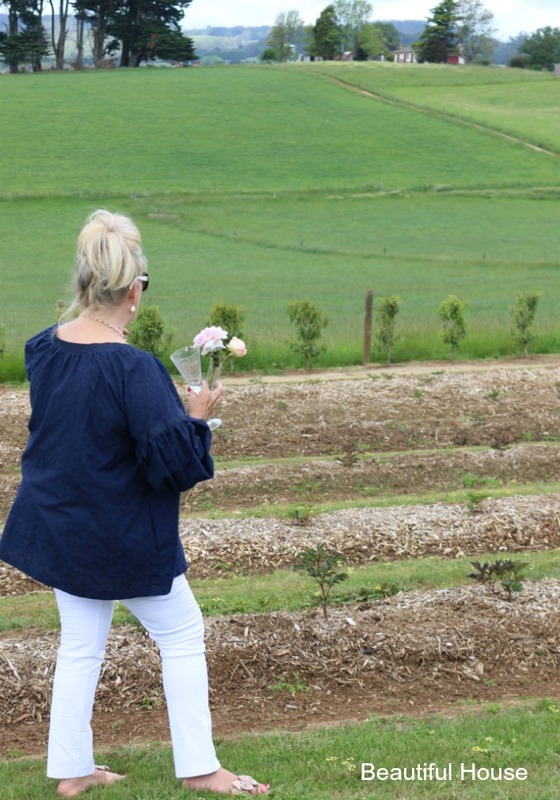 Our garden tour ended above at the newly planted Peony field. We then finished our afternoon with a beautifully prepared luncheon and more champagne. 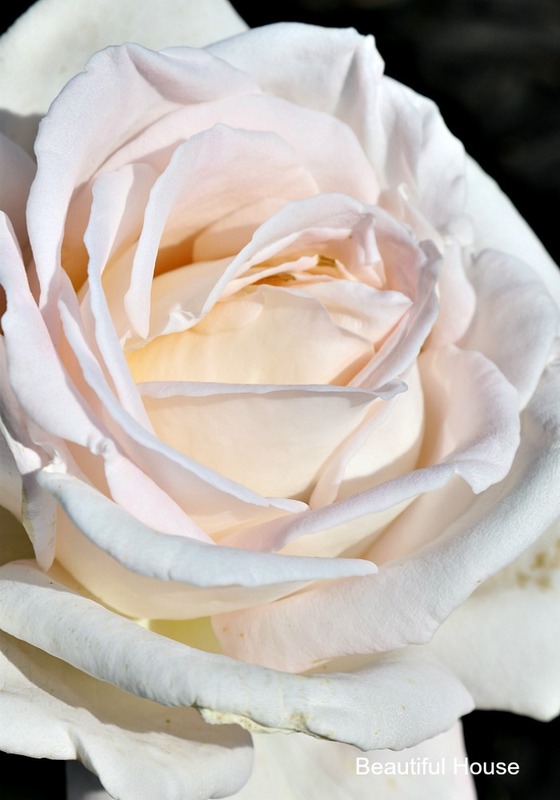 Peony roses are a work of art with so many layers of petals and a sweet perfume. They love full sun and to be planted in a rich and well drained soil. 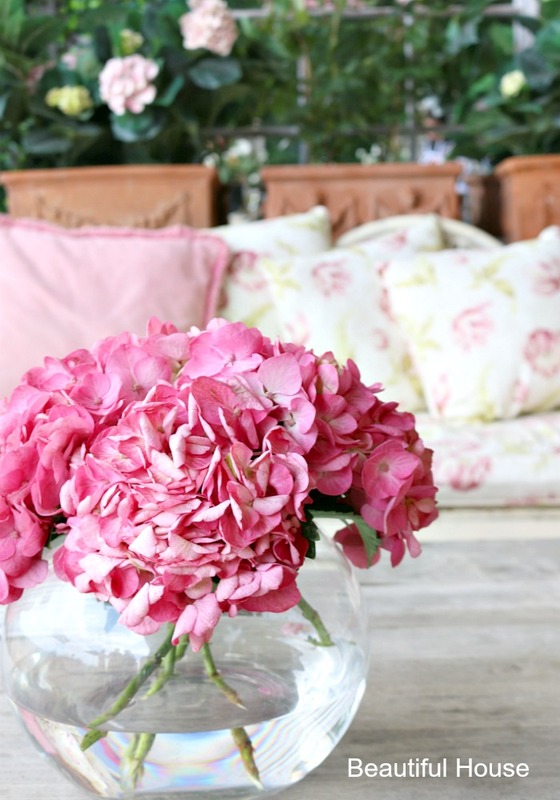 Peonies can take up to three years to produce many flowers, but they are well worth the wait. We all had so much fun. I really loved meeting so many new friends and spending the afternoon on Sarah’s property in her beautiful garden. 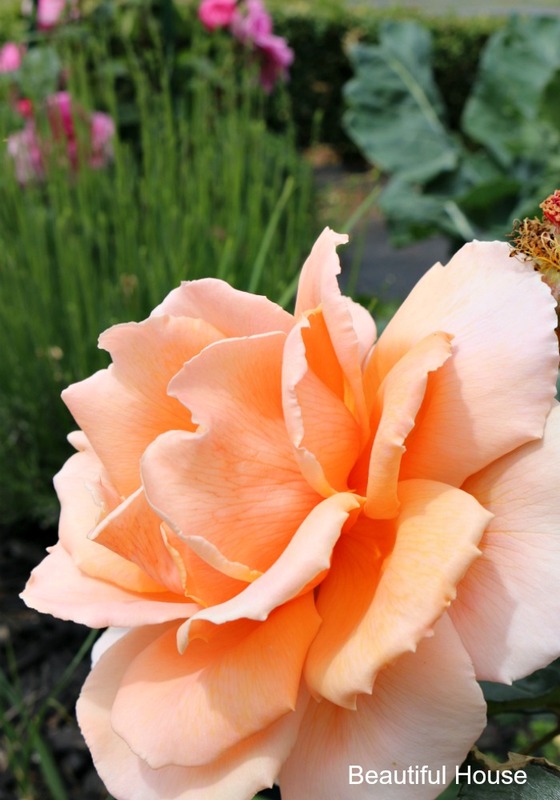 If you would love to follow Sarah’s garden journey you can connect with her accounts below. We would love to hear what garden projects you have planned for this Spring and Summer. Sarah is such a beautiful friend and so inspiring.. This was Sarah’s dream and here it is starting to all be real well done gorgeous Sarah !! How stunning it looks you truly are amazing! !